It’s common knowledge that the internet has changed the way humans use computers, as well as handheld computing devices like tablets and smartphones. The advent of wireless network technology removed geographic limitations, thereby inciting demand for the ability to access digital files from any device anywhere. Enter cloud storage. More information, more innovation - Unlocking what’s in the cloud instantly expands the amount of information and knowledge publicly available exponentially. Within that treasure trove is the answer to many questions and, more importantly, the inspiration to ask more and more novel questions, to seek solutions to existing challenges and predict and preempt future ones. In short, the expansion of our existing knowledge base drives innovation and the potential to improve the quality of human life. Website-free content sharing - Making cloud storage searchable allows people to share content on the internet without creating a website. For instance, subject matter experts (like hobbyists) do not need to create an account, purchase a domain or transfer their content onto hypertext pages. Social Cloud Storage now provides them with a simpler way to share what they know with whomever wants to know it. Greatness is discoverable from unlikely sources - The world is full of people with great thoughts and talents who do not have the desire to actively engage with the public, regardless of how appreciative that public could be of their content. However, that doesn’t mean these people aren’t creating valuable assets. Social cloud storage allows people who may be shy or introverted to share the perspectives, information, art, etc. they have created without having to put themselves on public display or face the prospect of rejection by a conventional publisher. 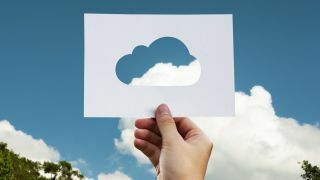 Perhaps the most significant benefit of social cloud storage, though, is the ability for users to assert more control over their search experience. The ability to search information made public without a commercial agenda gives users a way to bypass search engine algorithms’ built-in biases, and to correct for search bots’ misassumptions or miscalculations about the user’s search intent. In other words, social cloud storage allows users to effectively escape the “filter bubble” created by a search engine that confines results to those that conform with search history—i.e., past interests. Making cloud storage more social is not something that needs to happen – It’s something that is already happening. MrOwl is currently delivering the ability to unlock cloud storage and massively increase the amount of knowledge about virtually any topic available to the public, and is leading the next phase in the evolution of the internet to better serve human users.